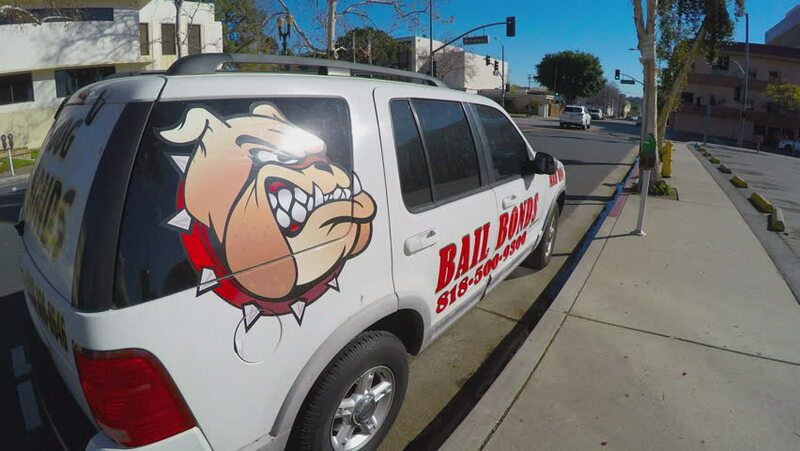 GLENDALE, CA/USA: February 21, 2016- Close up shot of a Mad Dog Bail Bonds company vehicle in Glendale California. The sign on the car is of an angry looking Bull Dog. hd00:24ERBIL, IRAQI KURDISTAN - CIRCA JANUARY 2016: Showing street life in Erbil downtown. hd00:29Washington DC, USA - October 23: A police car parked at a downtown road, its siren lights flash on October 23, 2011. Another police car and traffic drives past. A curious onlooker in the foreground watches the scene. hd00:25BANGKOK - AUGUSt 31: Unidentified caretaker washing and cleaning for dirty car at garage in car care service on August 31, 2014 in Bangkok, Thailand.